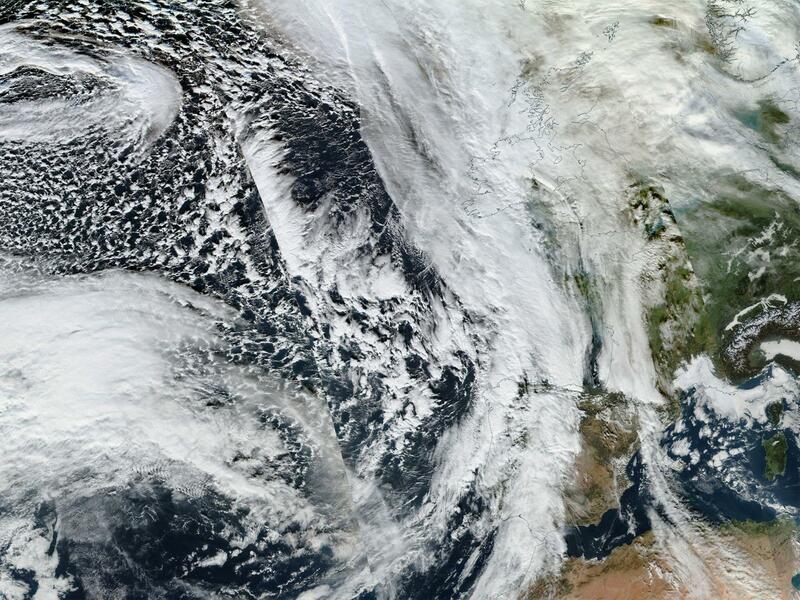 Above: “Storm Frank” approaches the UK. Source: NASA. At the bottom of the priorities list is the environment, but changes to that are the biggest threat to life and how we enjoy it. When was the last time a refugee flooded Yorkshire? Never. It’s not the refugees increasing fire risks, calling into question rural lifestyles, here in Australia either. Parts of the UK are squelching through their wettest December on record, and climate patterns will continue to be thrown out of whack as global temperature averages climb. There is a time and a place for governments to address small terror threats, but at the moment the money spent on almost unilateral wars far, far away would be better spent transitioning our economy to one of renewables. Cutting the legs from human accelerated climate change will save more Australian lives than it takes, that’s for sure. Bombing the Middle East will not. Related reading: the north pole is expected to warm to up to “near freezing” temperatures this week. This is winter.